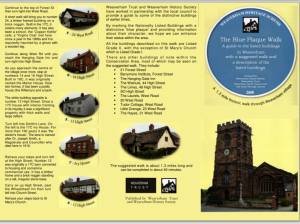 In 2009 the Weaverham History Society, The Weaverham Trust and Vale Royal Borough Council were responsible, with consent from the owners, for the positioning of 15 [including the parish church] blue plaques on listed properties in the village. 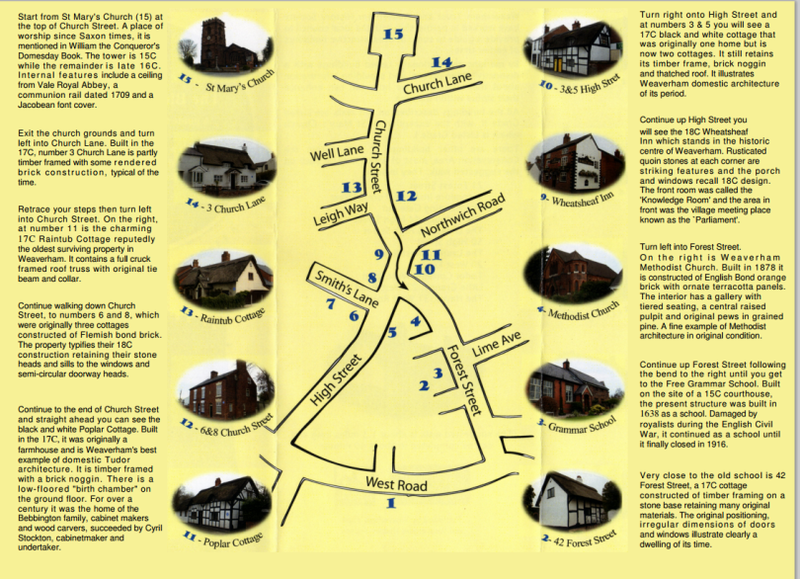 These are show in italics in the following ‘tour’ of the village. 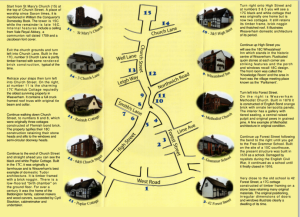 The historic walk through the village is about 1.3 miles long and can be completed in about 40 minutes. 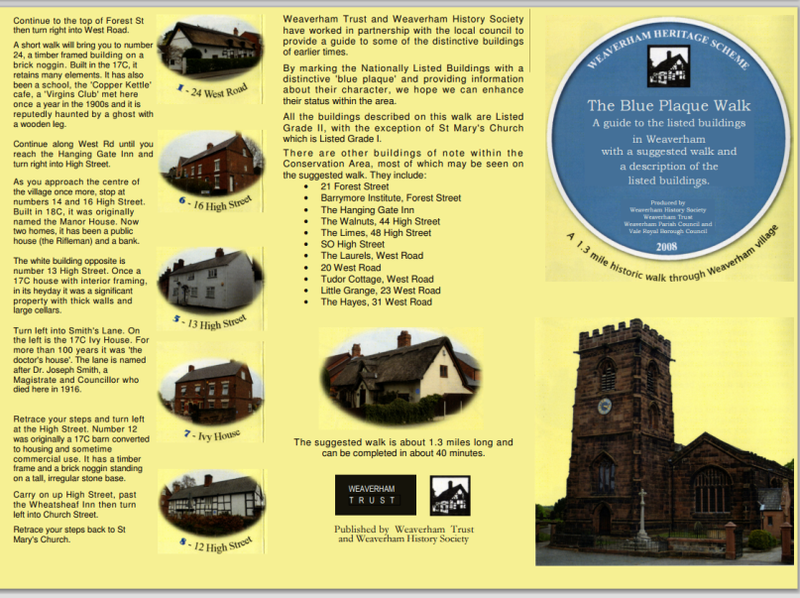 Although this walk includes other buildings of interest, it follows the same route as the sketch map given on the Blue Plaque Walk leaflet available from The Weaverham Trust, Weaverham History Society and Weaverham library.